Share, Store and Manage your Documents and Files Online. Your files are securely stored using 256-bit encryption. We are also GDPR compliant. Read more. A huge benefit for us is that if we need to update a document, we can just make the change in one central location. Theres nothing to download, no software to install. All you need is your web browser. 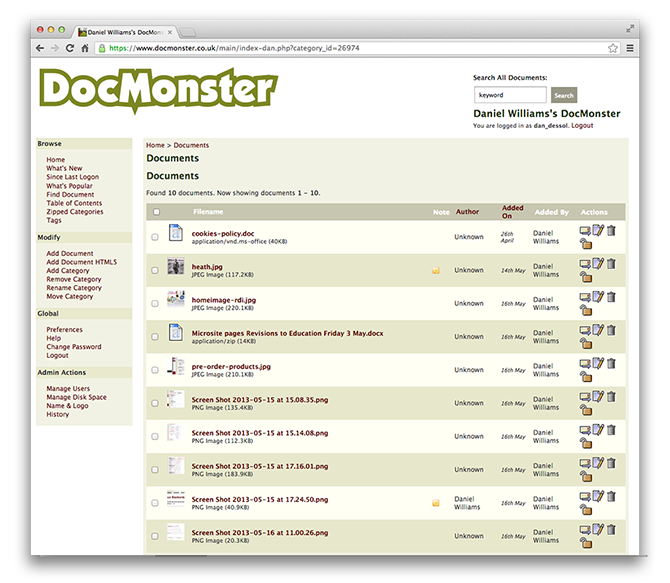 Customise your DocMonster by adding your company logo and setting your own preferences. With single or multiple user option, DocMonster is the perfect solution for individuals and companies alike. 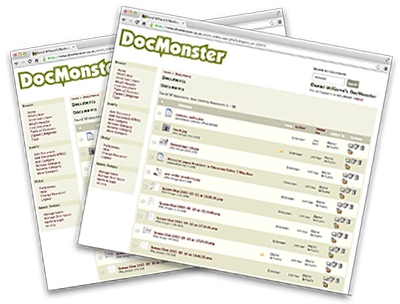 We offer a free 30 day trial for our DocMonster service. DocMonster uses SSL technology to ensure that all of your information is encrypted. Documents are hosted in a secure datacenter (SAS70 Type II). Automatic scanning of all your files ensures your files are always protected against viruses.